16 different elegantly bound images. 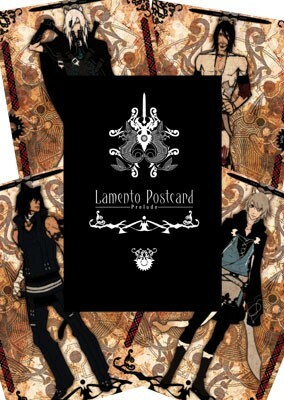 Lamento -BEYOND THE VOID-Postcard Set featuring characters and images from the series. This unique presentation includes 16 different illustrations in an elegantly bound format.